Jesscass. Visited April 2018. Sent 14 Apr 2018. When you walk into that shop there is a small bar area where you make your purchases. Guy behind the counter came up with Moroccan Royal (11€/g) which was also the most expensive on the hash menu. This nice blonde hash was sorta ginger-bread style when it comes to taste and smell with an mellow up-high. 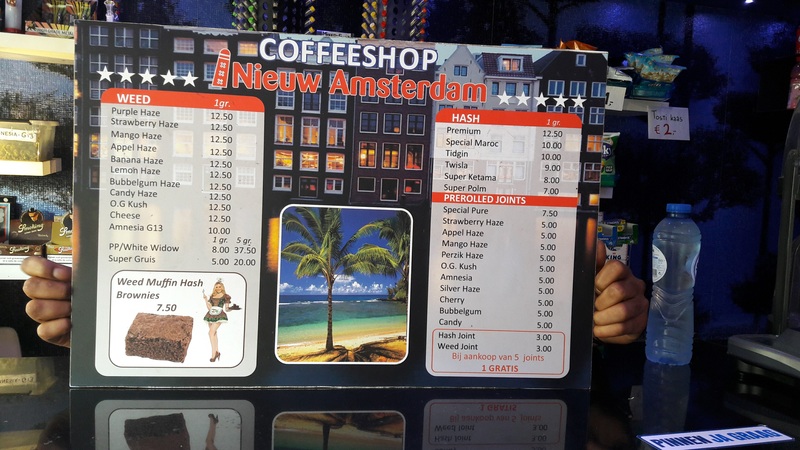 Again considering area and other options for coffeeshops there it was a tad expensive but overall indeed a nice piece. There were about four other types of resin available, too. On the weed menu they had about ten strains on offer, both classics and trendy ones. It seemed they had a smoking area as well but we didn't sit down so can't comment on that one.